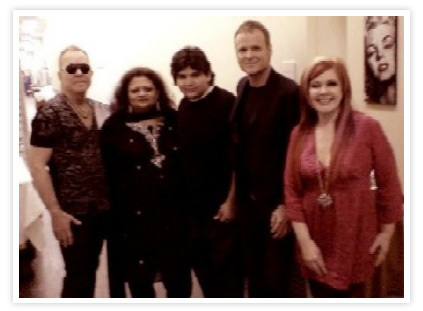 Our live band "Kehkashaan" has shared the stage with the World Classic Rockers, an All-Star Rock 'n Roll Band featuring former members of legendary rock bands as well The B-52s, who are known as the World's Greatest Party Band! KEHKASHAAN , meaning "Galaxy", always adds a Touch of Class to any event and promises an evening of great music,excitement and fun! 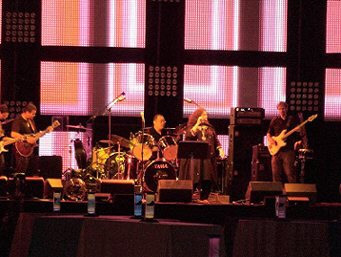 Whether you're planning your fantasy shaadi, organizing a very important corporate or community event, hosting a reunion, or anything in between, Minakshi Entertainments USA can provide all of your music entertainment needs. 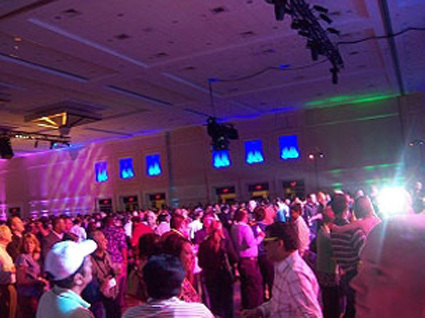 Minakshi Entertainments USA utilizes the highest quality Professional Sound Systems of up to 5,000 watts, featuring Sound Mixers with Digital Effects along with Power Amplifiers, top-notch Loud Speakers, Colorful Dance and Performance Spotlights and Professional Sound Engineers that manage the systems. 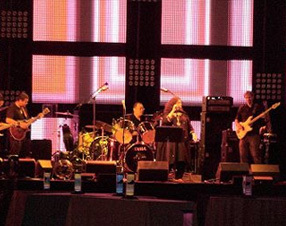 KEHKASHAAN Live Band is an Extraordinary 6 to 8 member Bollywood Band, consisting of fabulous vocalists, percussionists, keyboardists, and guitarists with unparalleled versatility in song selection and the ability to perform authentic renditions that sound like original recordings. 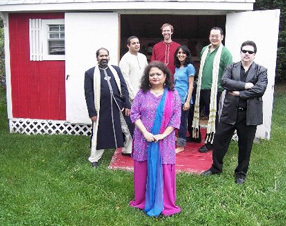 They have an extensive repertoire of music ranging from Bollywood Oldies to current Sizzling Dance Hits. 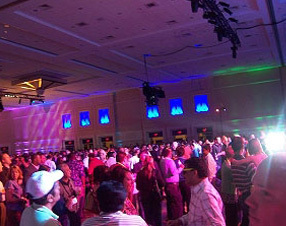 KEHKASHAAN consistently delivers a high-energy, interactive, crowd-pleasing and classy experience you and your guests will love and remember long after the event is over! 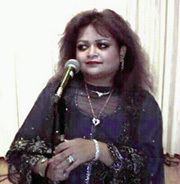 KEHKASHAAN Live Musical Duet is a Live Duet (Male/Female) option where vocalists sing to digital pre-recorded music. Our superb vocalists are charismatic entertainers and the quality of music is not only brilliant but identical to the original music. This incredibly popular package also includes DJ Entertainment so that there is always a constant flow of music provided by the Sound Engineer/DJ throughout the event. KEHKASHAAN keeps you entertained the entire evening and have been called Bollywood Music Rockstars by our "extremely pleased" clients and their guests who have yelled "Chak De Phatte!" on the dance floor. KEHKASHAAN is so appreciated at every performance that our clients refer to us as being in a class above all the rest! 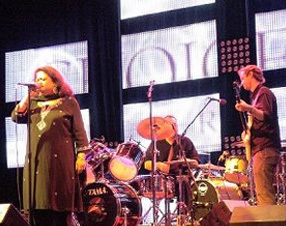 Minakshi is Kehkashaan's co-founder and Lead Vocalist who has had an extensive background in Classic Rock/Pop, Chorale, Broadway, and European Classical music. Extremely passionate about music, she enjoys incorporating English, Arabic, French, and Spanish languages to her performances. 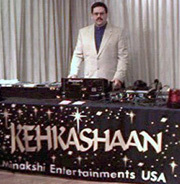 Paul is one of Kehkashaan's founders and the brains behind Minakshi Entertainments USA including the pulsating sounds of "Jalwah!" DJs. He serves as the Business Operations Manager and also the Chief Sound Engineer and Producer. Although he is a non-Indian, Paul has an amazingly vast knowledge of music from the Indian Sub-Continent and maintains a massive and updated collection of Indian and American tunes. 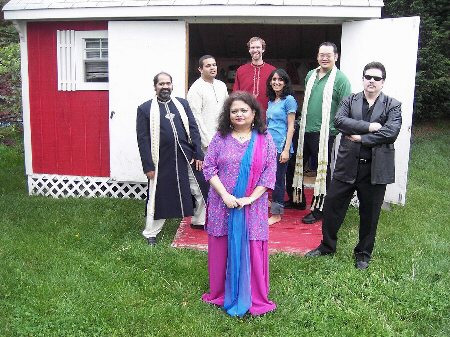 Paul additionally compliments Kehkashaan with excellent Hindi and Punjabi support vocals. 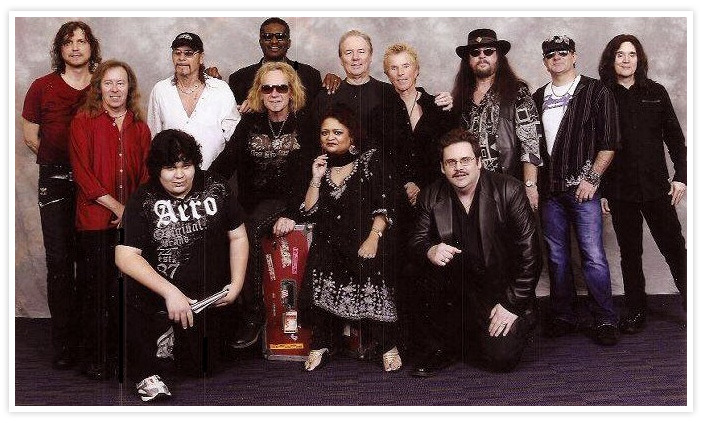 "Thank you for the brilliant performance of your live band Kehkashaan on May 16th. We enjoyed every bit of the music you played. Your song selections were outstanding. You made the dance floor filled the entire time. Paul you were excellent with the sound quality and the great music you played. Minakshi we have seen for the third time, always seems more mesmerizing with her flawless voice. The male singer was also great. We will call you again for sure. Thank you for working with us so professionally." "Where the Music Rocks the Nation....Popular Music for Any Occasion"